Uglyworld #574 - Looks, A Stone Inside A Stone, originally uploaded by www.bazpics.com. 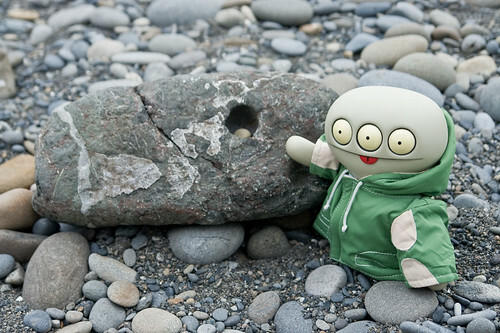 Cinko was shouting at me to come and look at what he found on Ruby Beach, "Is awesomes isn't it's? I never see'd a stone insides another stone befores" he told me when I finally came to see what all of the fuss was about.